What’s Power Got to Do With It? A few years ago, I researched and wrote a masters’ thesis on addressing power dynamics in collaborative process design and facilitation.? I was doing the study based on great questions raised over the years by Cyndi Suarez (Co-Director of Northeast Action) – and with the belief that if power dynamics are not well understood and addressed, group process facilitators are likely to unknowingly reinforce the status quo – a scary thought for those of us working on social justice and social change! One thing that woke me up at two in the morning – one of those notorious “aha” moments – was that when doing an extensive literature review of group facilitation literature and conflict resolution literature at that time (2005), I found that conflict resolution/engagement literature is packed full of discussions about addressing power dynamics – while group facilitation literature rarely (if ever) talks about power.? 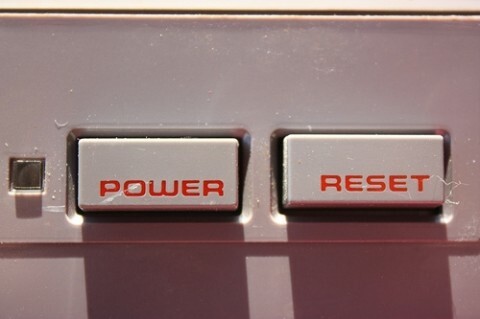 I only found a very small handful of references to power (as in two or three) anywhere in the very extensive group facilitation literature – and only in reference to people with positional power.? There is, in fact, an assumption built into group facilitation methodology that collaboration on its own somehow balances power dynamics. I’m hoping to write over the next few weeks (or longer – we’ll see how long it takes) about what I found and some questions or ideas that came from it.? But before I launch full steam into it, I wondered what you might find helpful to discuss.? What about how power dynamics show up in how a group process is designed or facilitated would you find most useful to discuss?? Let’s get to it! What's Power Got to Do With It? Really looking forward to this series! Is your masters thesis available online? Would love to read that as well. Thanks Eugene. Send me your email (lguinee@interactioninstitute.org). I’d be happy to share it with you! Great, Linda! Looking forward to the discussion and future posts. One question I have, and have been asked, is “To what end?” When we choose to observe and work with power dynamics, why are we doing so? What do we hope to gain? What evidence suggests that we get it? The answer(s) may be obvious, but on the other hand, maybe not. I too want your Master’s Thesis. I’m actually impressed you know where to find it :). I agree that the issues of power, real and perceived, are often overlooked in facilitation and collaboration planning and design discussions. Clearly, this impacts effectiveness in the short and long term. I also find acknowledgement of the role of influence on power is also glossed over. Look forward to your further musings and research on this. Thanks Jara. Great points! Send me your email address and I’m happy to send along the thesis. And Curtis, these are great questions. I’ll follow up in a post soon. And if anyone has responses, let us know what you think! Glad you’re kicking off this series, Linda. Looking forward to mixing it up, particularly about ways that we can support people in building power and capacity for social change and social justice. when to point out to people the power they carry and the effects on the group and the process. I’m finding that many informal leaders don’t realize how powerful they are. Would love to hear how facilitators figure out quickly who’s “running the show” in a group. I love that you are doing this. I recently attended an Authentic Leadership workshop in which the issue of power was, sadly, not addressed. Thanks Eugenia and Susan! Eugenia, great questions – look forward to deepening these conversations over the next weeks/months! And these are exactly the kinds of questions to explore! Looking forward to doing this with you! And Susan, I don’t know much (anything) about shadow work – but much of the work on power is about things that are often hidden (to those who have the power) but not so much (to those affected by it). Hope you’ll pitch in and add some of what you’ve been doing with the shadow work and help deepen the conversation! Power, still thinking about it. I has the privilege of listening in on a focus group of emerging leaders of color who are part of a leadership development program. As they are reflecting mid way, I am struck by the comments they are all making about finding their own power through peer support and clarified intention. My take away, on a late Friday afternoon, is that power is a tricky and elusive thing. You know when you have it and you know when you don’t, but once you find it..doors and opportunities open. So as we think about ourselves as tools of change, how do we adapt and create spaces for all to find their power and work collectively? Thanks Jara! Another way I like to think about it is to ask what we can do in facilitation to actively help the group build its power – and the same for individuals. I’m very excited by where this conversation is already going! Also would be interesting to explore connections between your series on power and mine on sustainability. What’s the connection/overlap?